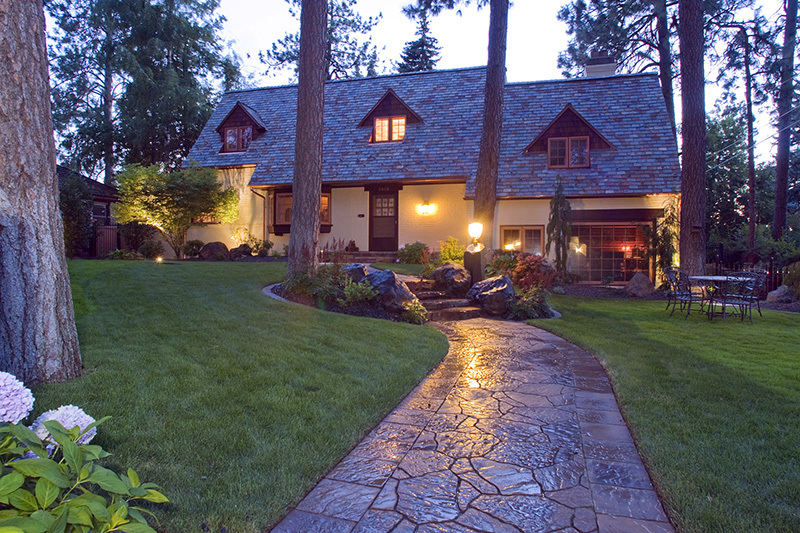 “Unique and inviting” describes perfectly this charming South Hill cottage landscape. 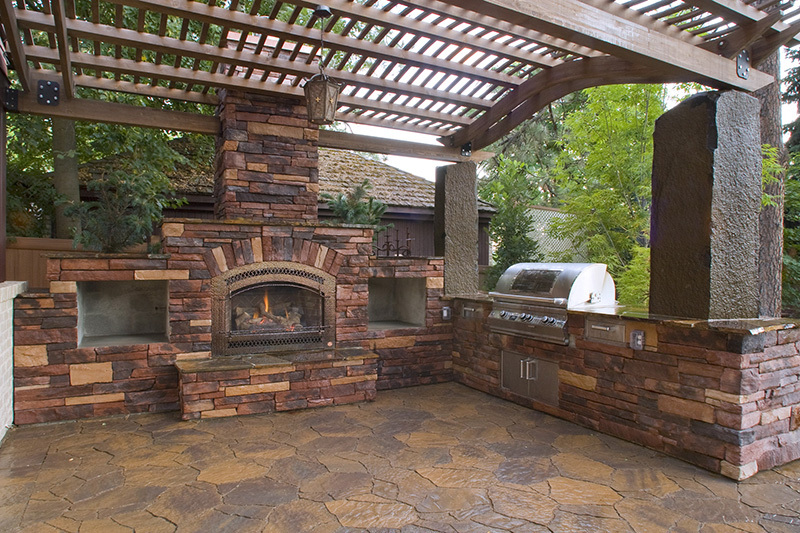 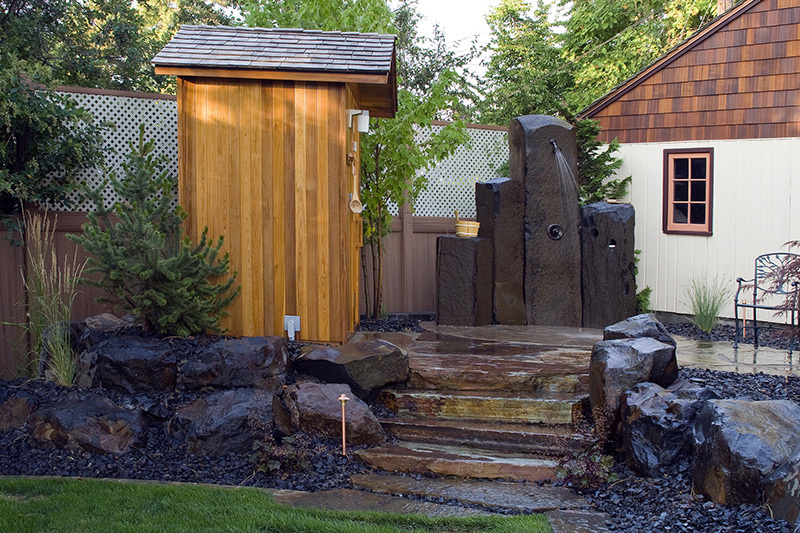 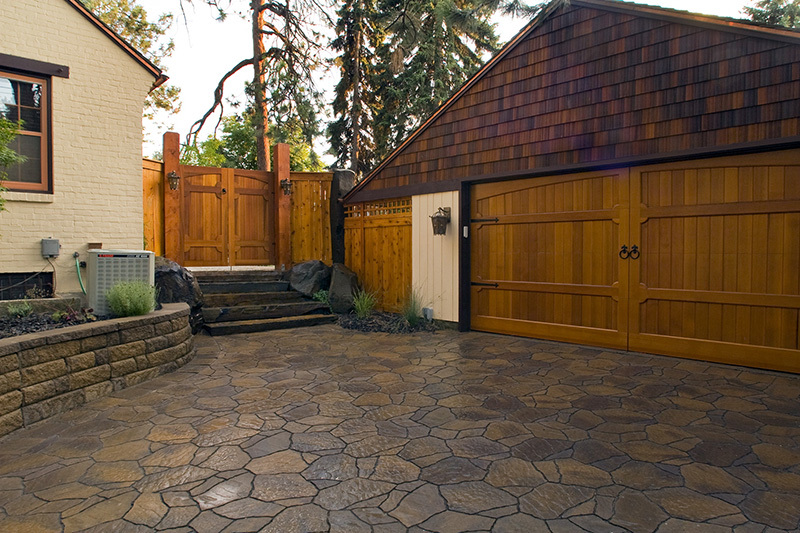 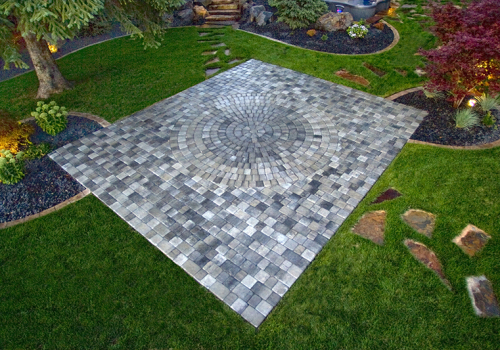 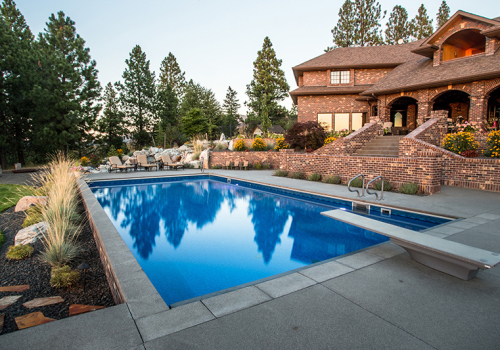 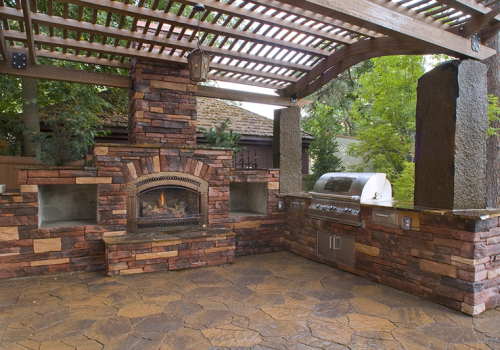 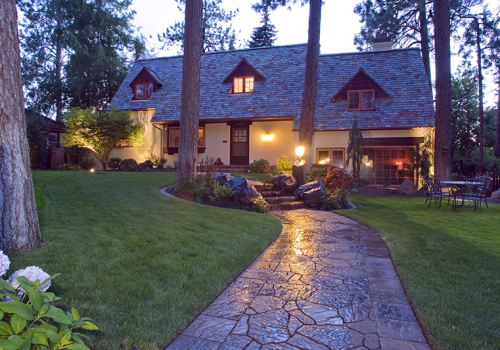 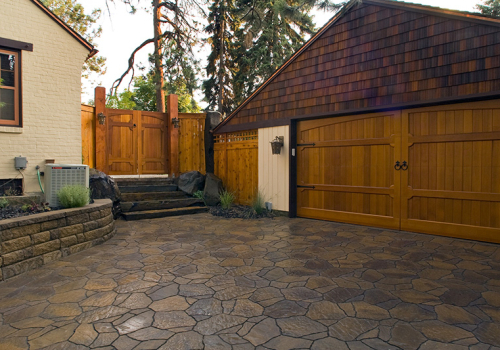 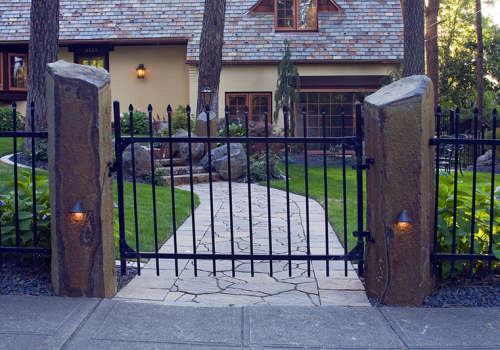 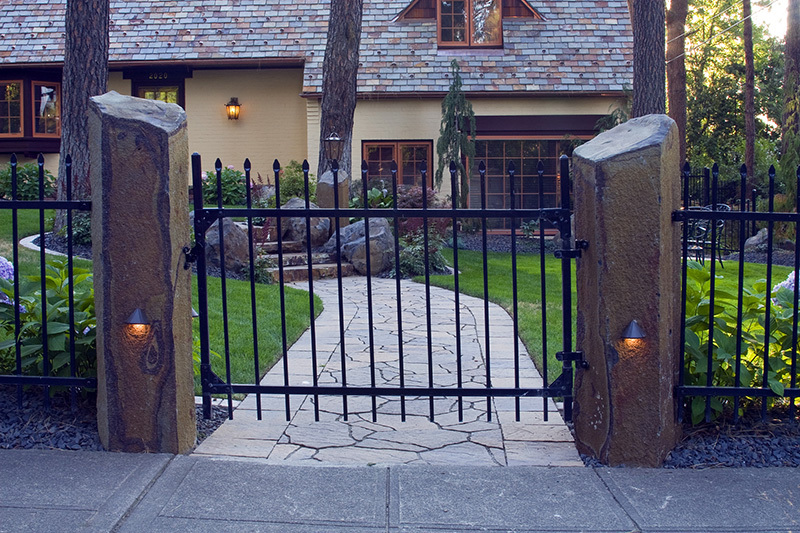 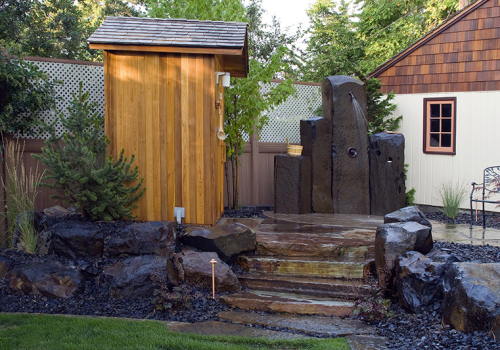 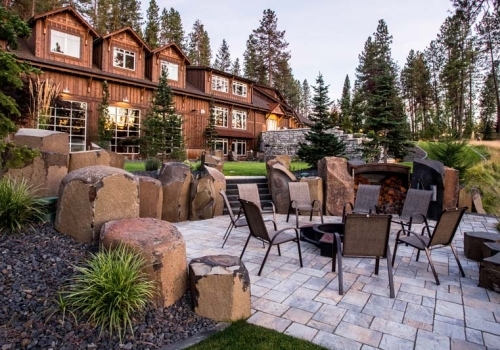 Warm tones repeat in stone, wood and metal, pairing beautifully with the tawny grays of basalt outcroppings and columns employed in front and back yards. 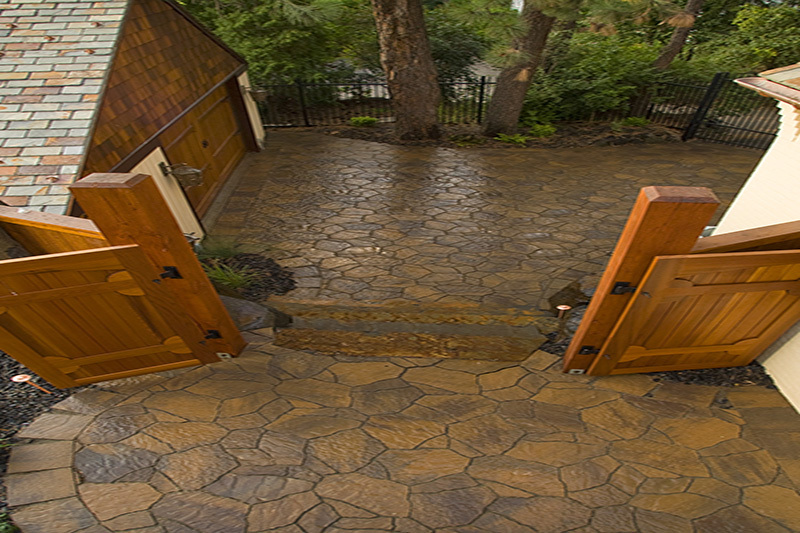 Steps leading down from the back door of the house open onto a Belgard patio, enclosed to the south by a large masonry gas fireplace and stainless steel barbeque, while the beams and rafters of a custom pergola undulate above, supported by massive basalt pillars. 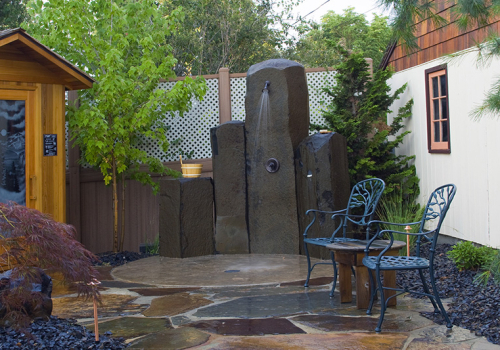 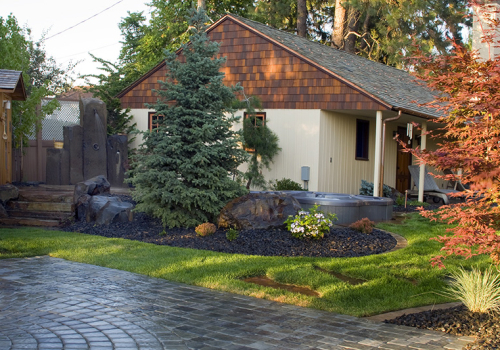 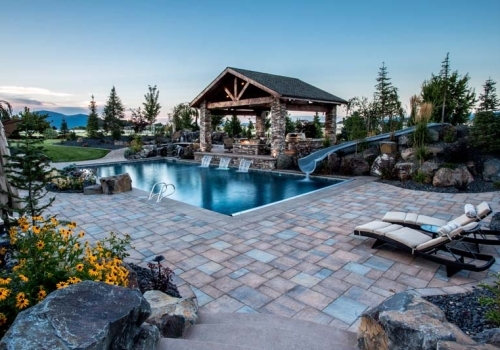 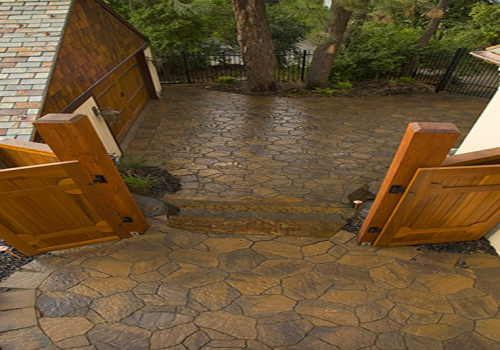 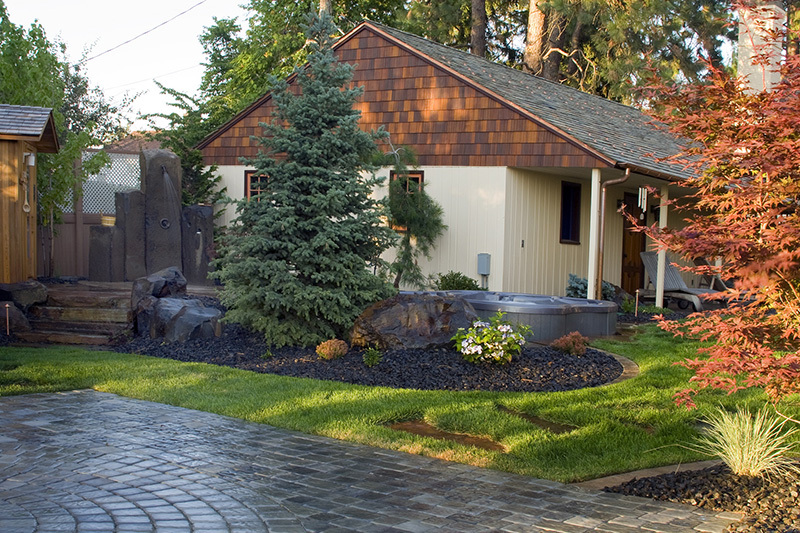 Stone slab steps lead down from the patio into a yard surrounded by lush plantings and distinctive features such as a paver tae kwon do dojang, a recessed spa and custom sauna, as well as an 8’ basalt column, plumbed to serve as an outdoor shower. 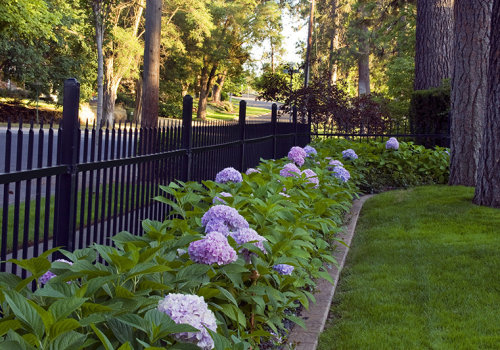 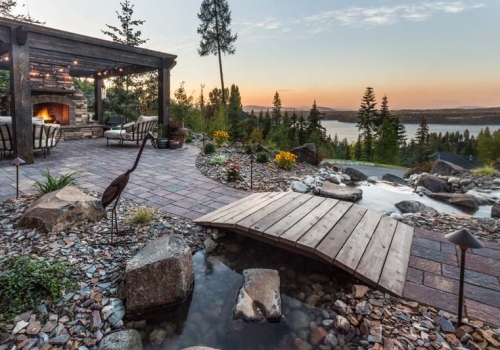 A front yard transformation gives the homeowners a new space to enjoy their lake views. 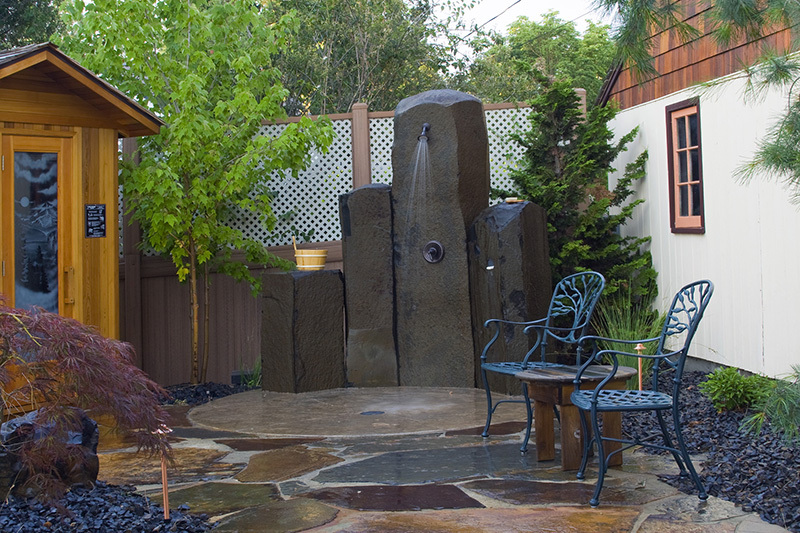 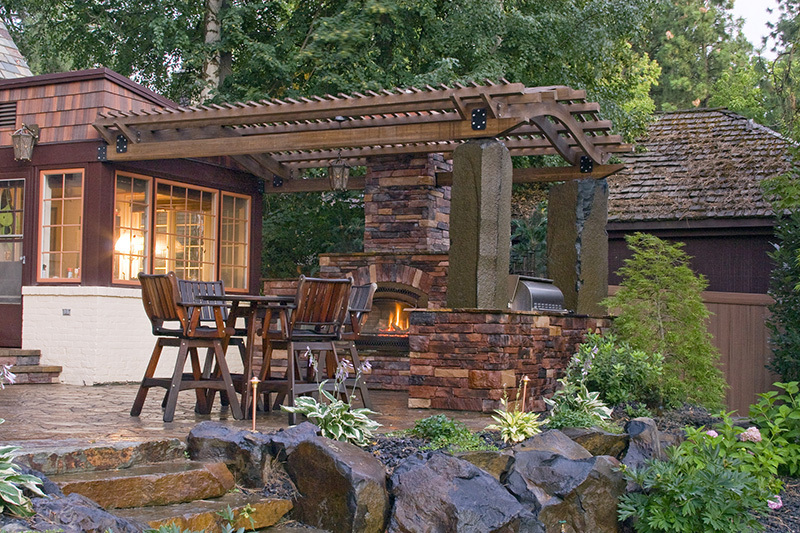 Situated in the midst of an expansive prairie, the homeowners wanted to create a backyard oasis. 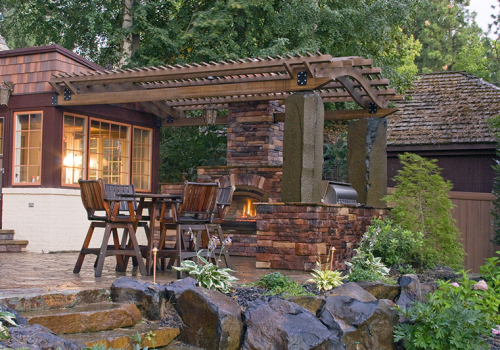 The homeowners built their barn to be more than a simple outbuilding, and the party continues outside.